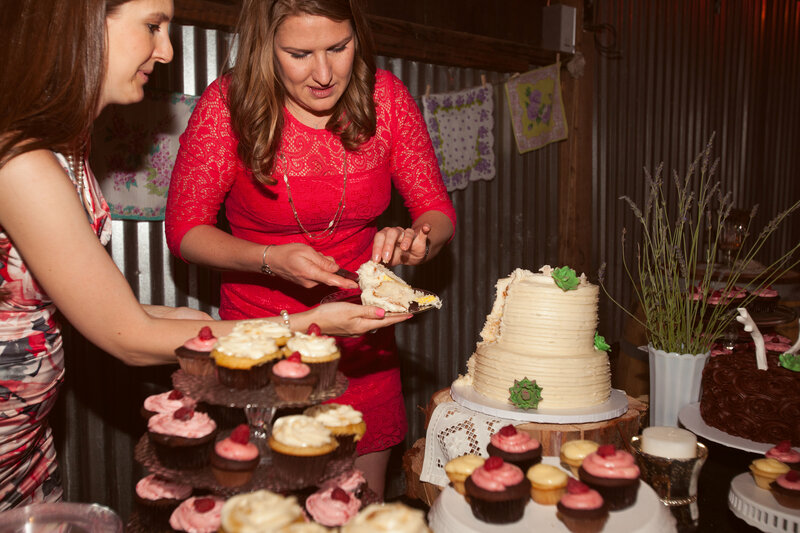 I had the amazing privilege of doing the dessert and wedding cake for one of my very best friends! 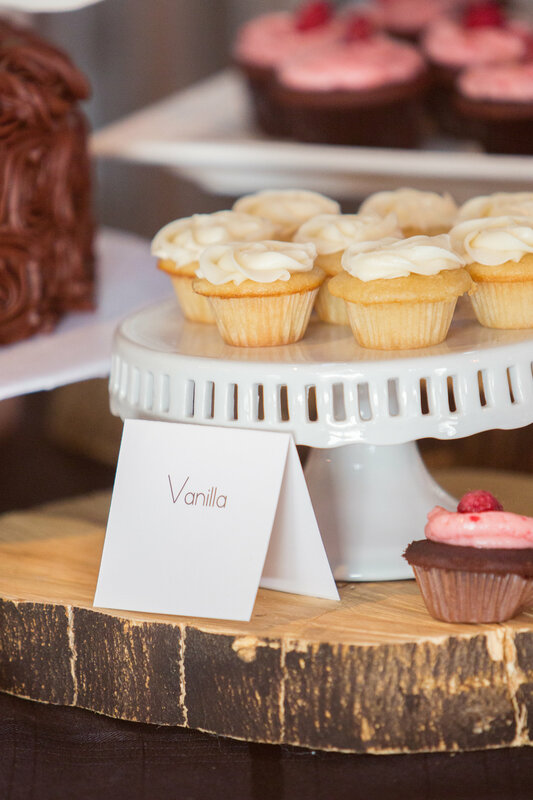 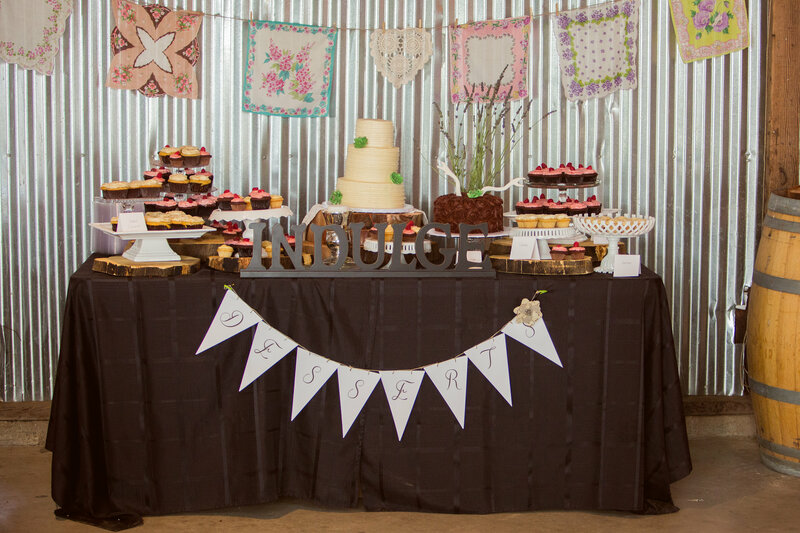 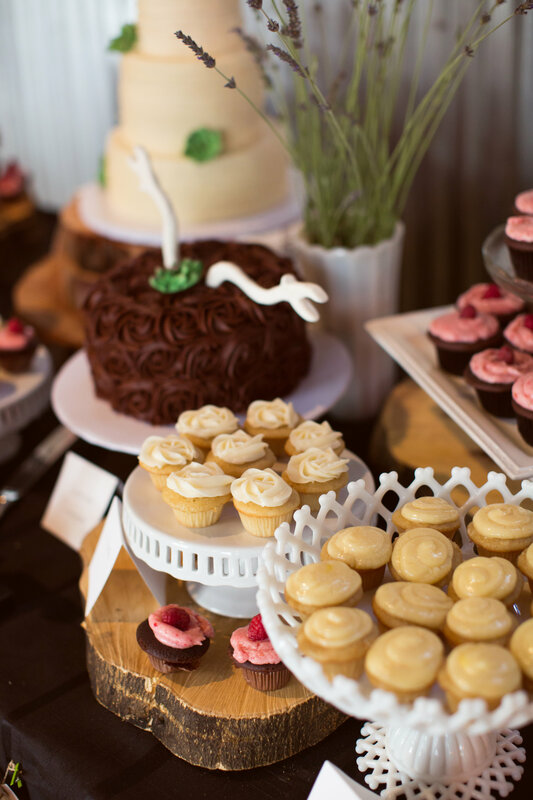 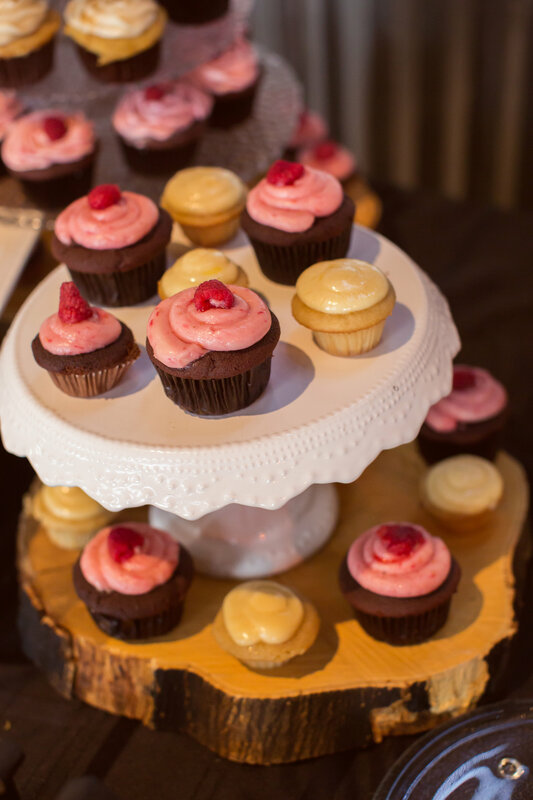 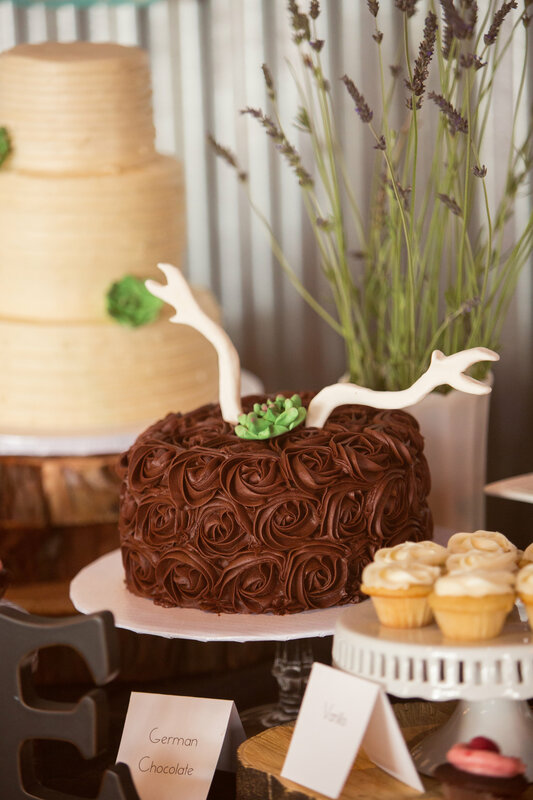 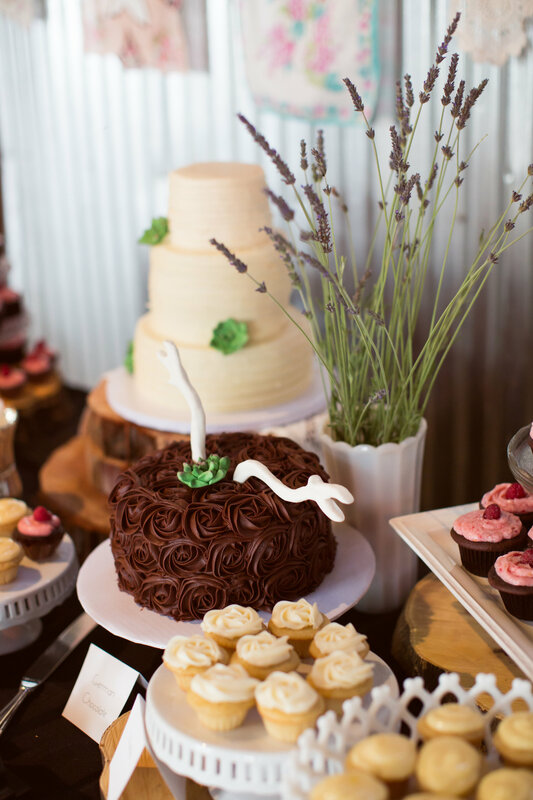 Her wedding photographer grabbed some excellent shots of the dessert table. 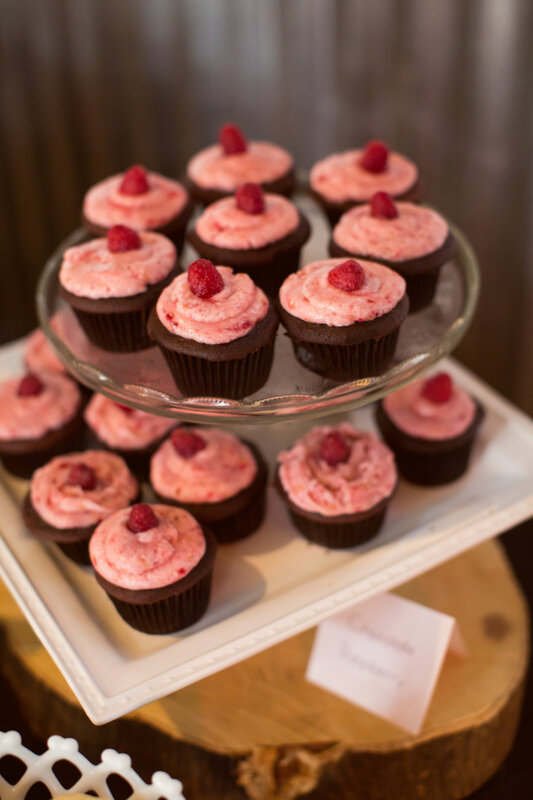 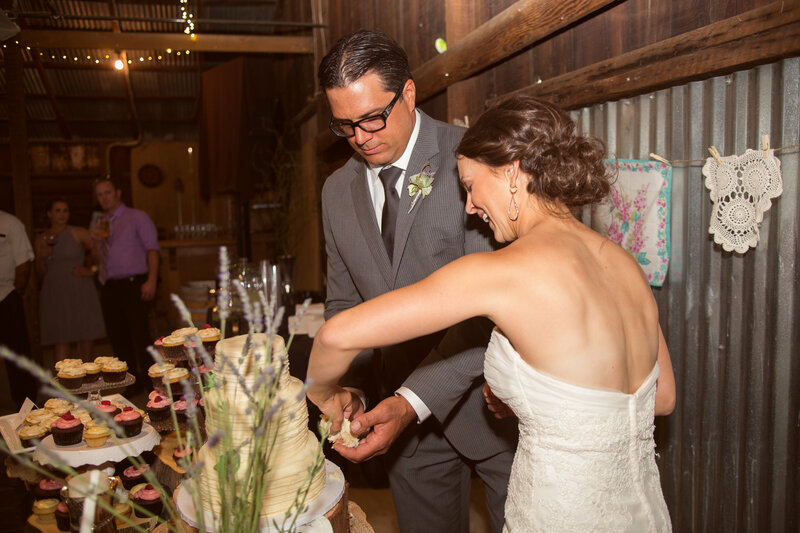 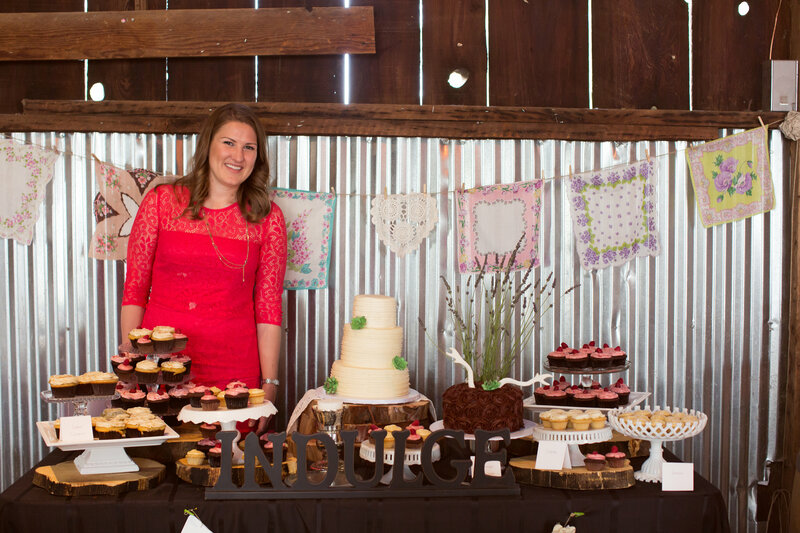 It was 90 degrees in the barn that day so setting the cake was a tad stressful (and soft!). 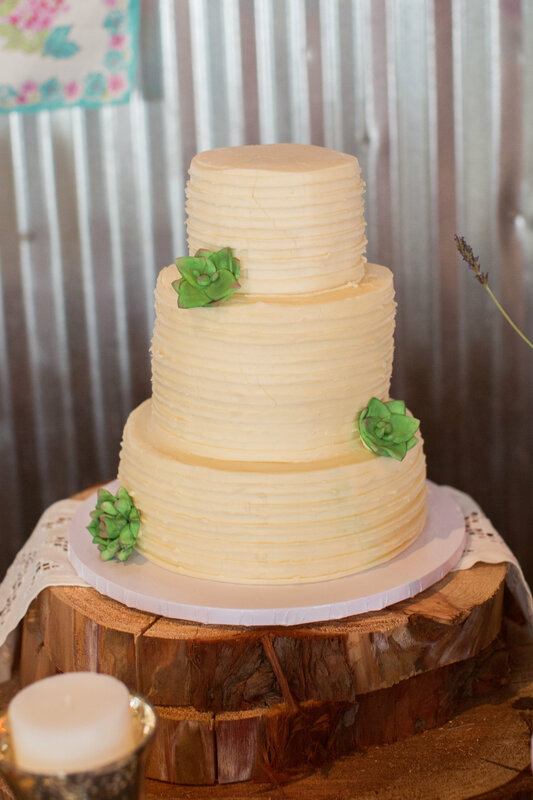 It all turned out wonderful. 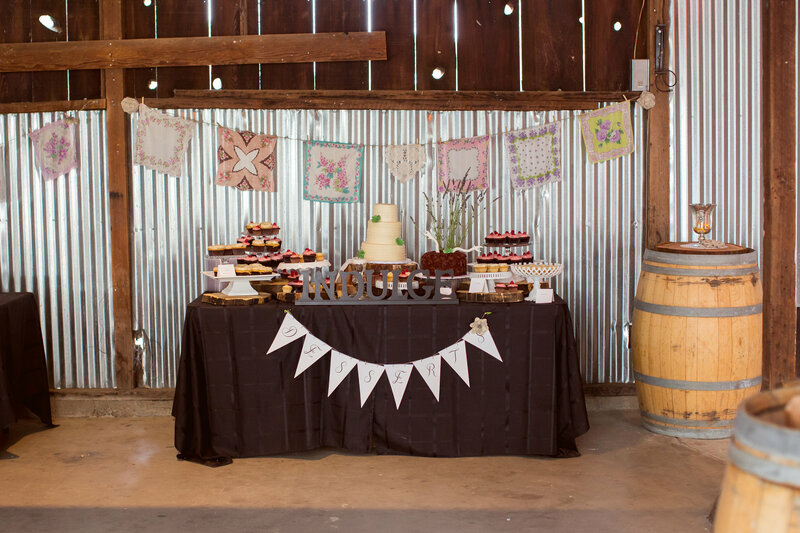 Congrats to Jake and Adrienne! 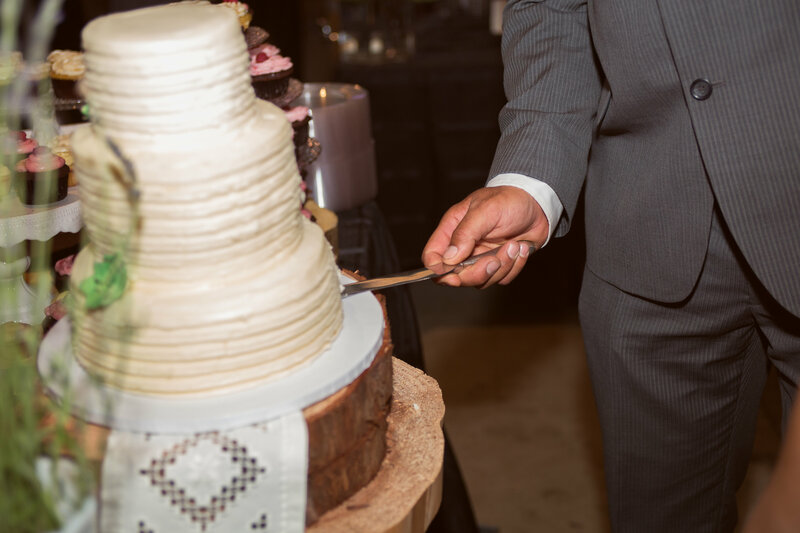 I will never forget your special day!